Stylishly display information using just your phone with the Vestaboard Mechanical Split-Flap Display. The Vestaboard combines innovative internet technology with the classic design of a split-flap train board display. Using just your phone, you can get updates, send it messages, show patterns and colors and more. 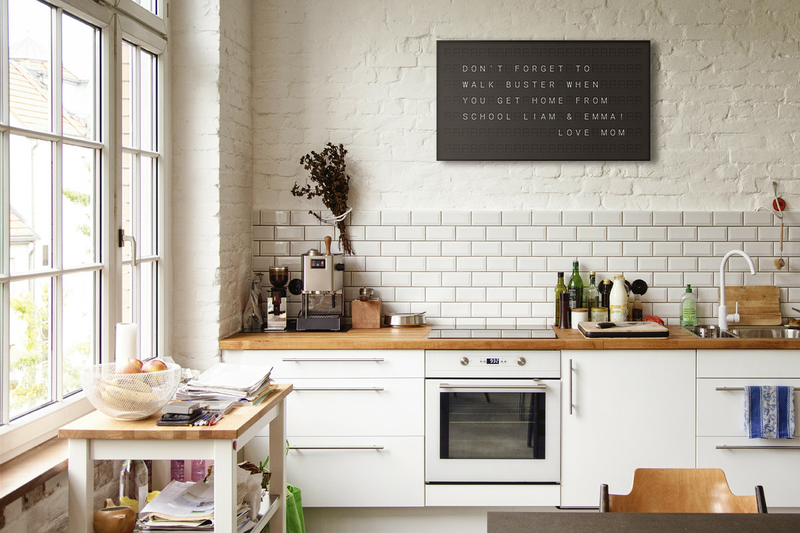 Likewise, you can use Vestaboard at home to display inspirational quotes and to do lists or use it at work to keep customers and team members in sync. Furthermore, you can easily control the Vestaboard from anywhere using the mobile apps on Android and iOS. Likewise, the app enables you to pre-schedule messages or subscribe to popular content. Vestaboard also syncs with hundreds of apps for automated updates. It even works with Google Home and Alexa. 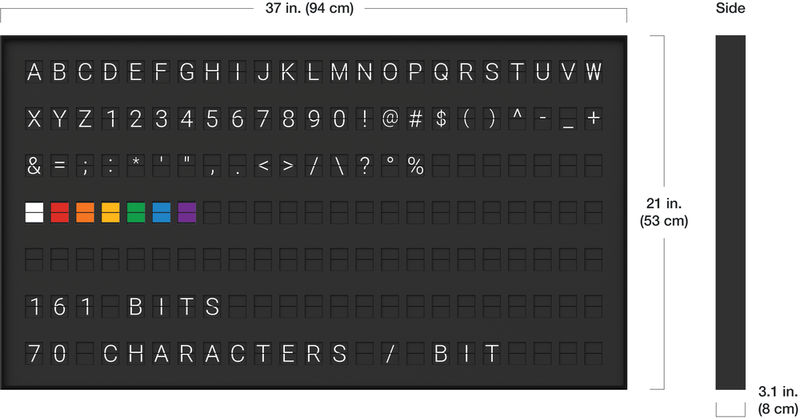 Finally, Vestaboard features a modular design with a display that can show up to 161 characters at once in a 23 x 7 grid.